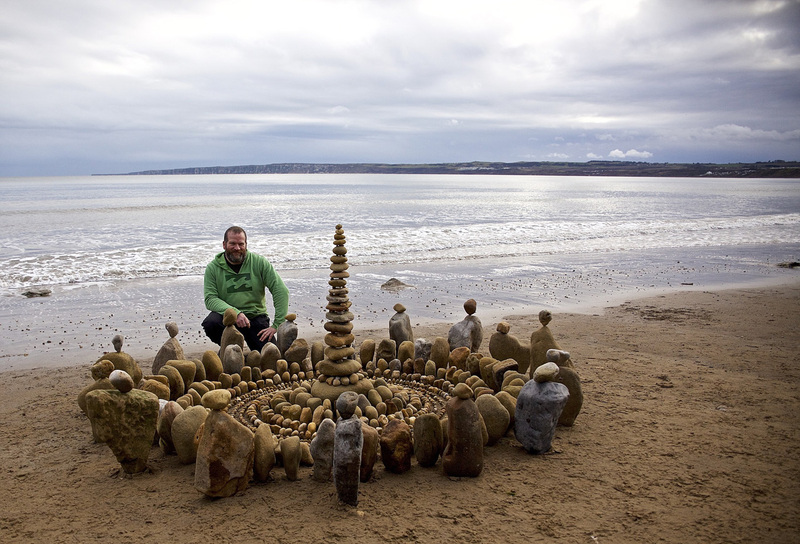 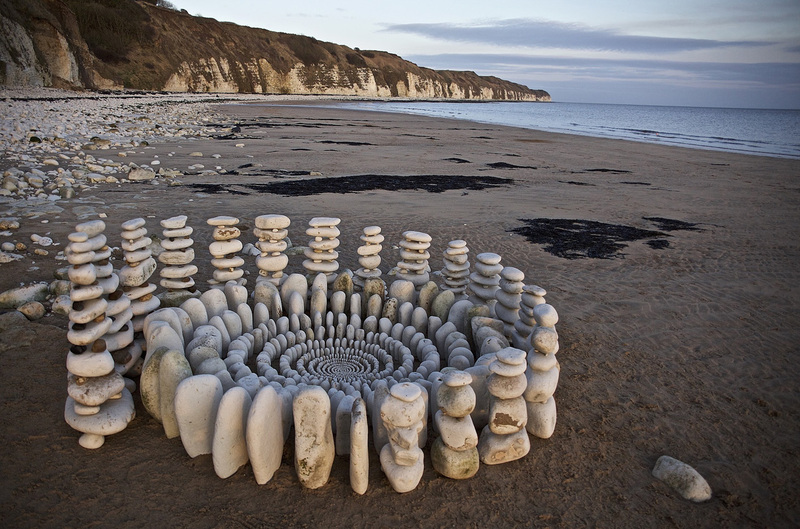 James Brunt creates elaborate ephemeral artworks using the natural materials he finds in forests, parks, and beaches near his home in Yorkshire, England. 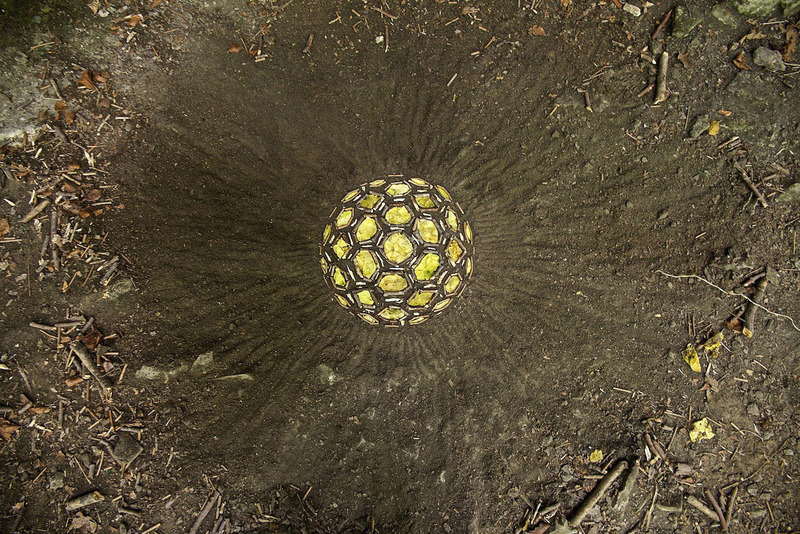 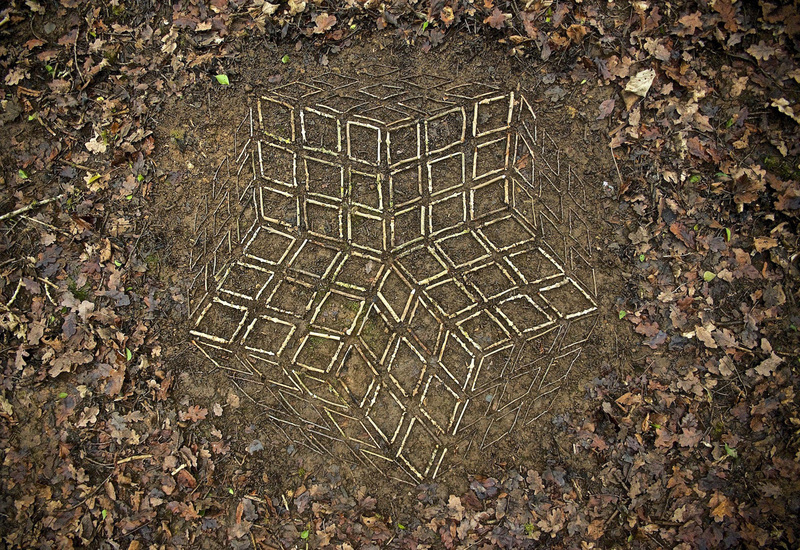 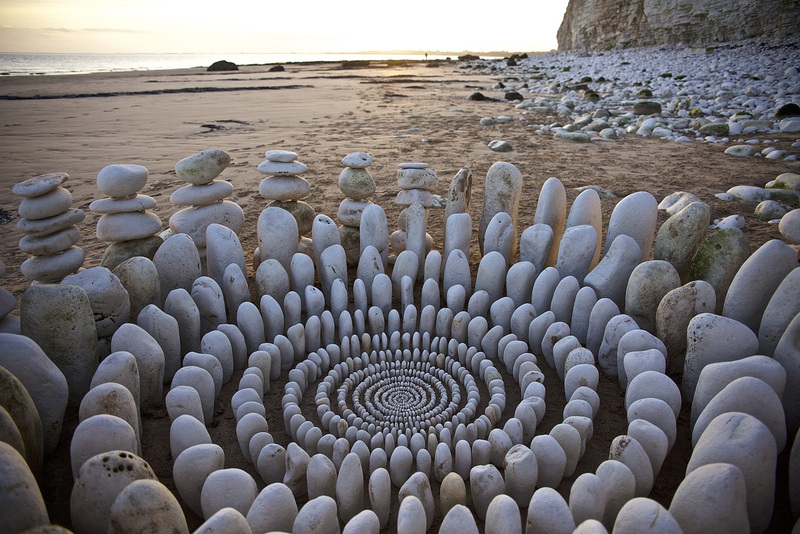 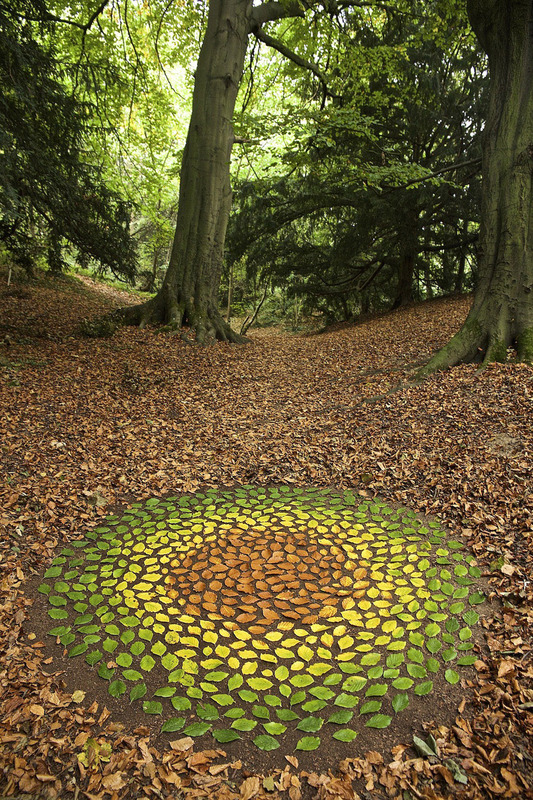 This form of land art, popularized and often associated with fellow Brit Andy Goldsworthy, involves detailed patterns, textures, and shapes formed using multiples of one kind of material. 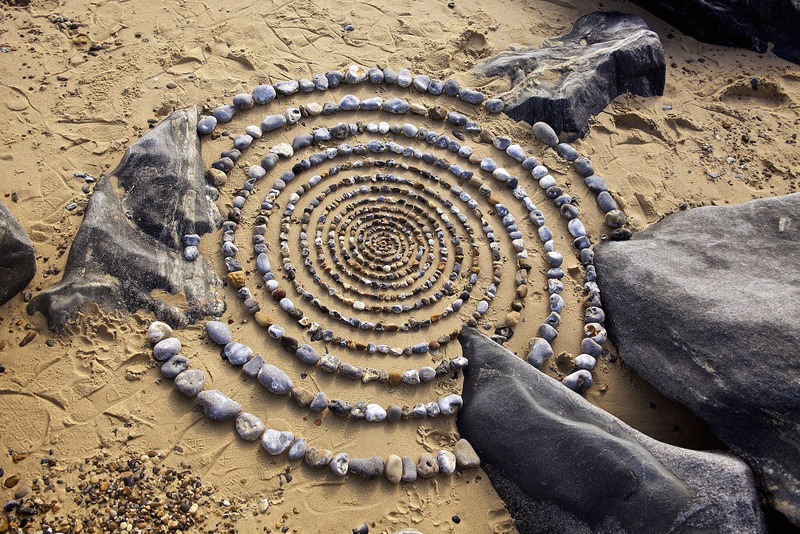 Brunt collects twigs, rocks, and leaves and arranges them in nature mandalas, spirals and concentric circles. 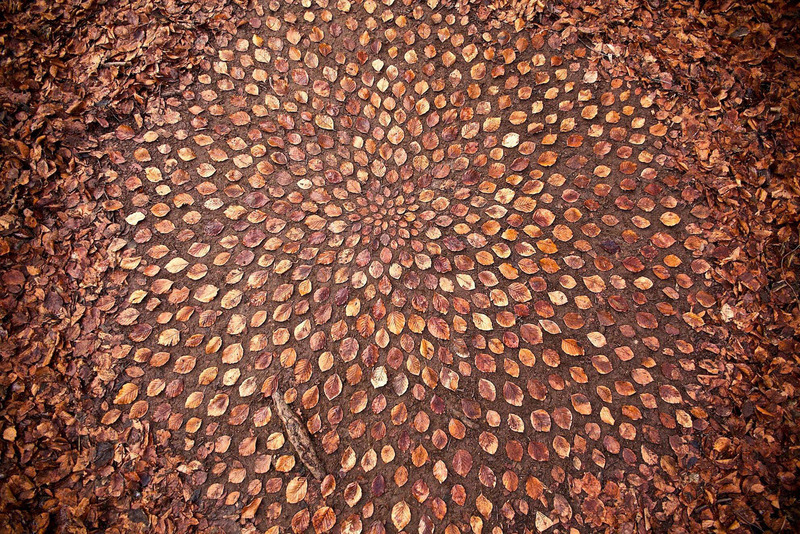 He photographs his finished work to document it before nature once again takes hold of his materials.